We offer U Jack & Base Jack to our clients. 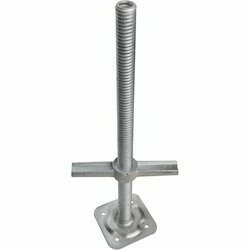 We are known for our high quality and durable Scaffolding Base Jack. 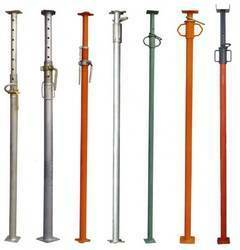 Keeping the diverse requirements of customers in mind, we are instrumental in providing Scaffolding Jack. Adjustable base jack has a solid steel stem/hollow tube stem of 32/36/38mm diameter which has a nut restraint to ensure the stem always has a minimum engagement into the Standard of 150mm. The Adjustable base jack is capable of accepting twin 100mm. wide bearers. We have been counted amongst the most trusted names in this domain, engaged in providing U Head Screw Jack. Our company has gained name and fame in presenting Mild Steel Jack Actuator. Owing to the wide experience in this domain, we are instrumental in offering Scaffolding Jack to our clients.